A DVR or NVR security system is a choice you have to make before setting up a video surveillance system. 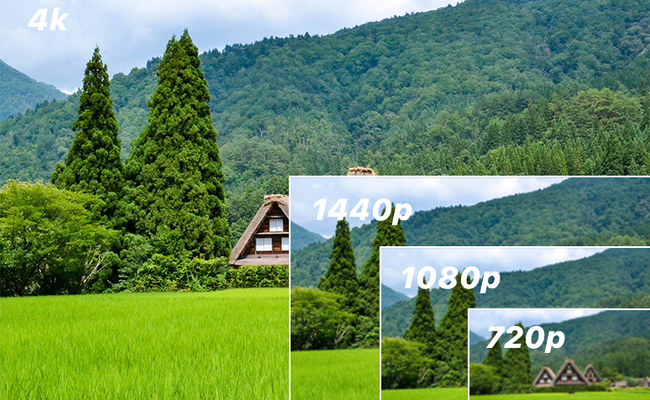 It matters a lot since it decides the cost, the installation, the best video quality you could expect. Now scroll down to find all you need to know about the DVR and NVR, including what does the NVR or DVR stand for, the differences between NVR and DVR, the top digital or network video recorders, and the DVR or NVR system that works best for you. The NVR full form is network video recorder. As the name suggests, NVR recorders record videos from the network directly using Cat5 or Cat6 Ethernet cables with RJ45 plugs. The NVR system is used with IP (Internet Protocol) cameras. There are two types of network video recorders: The PoE NVRs, generally with Ethernet ports to connect PoE cameras, and the WiFi NVRs with NO camera ports because it connects WiFi IP cameras wirelessly. DVR stands for digital video recorder. DVR recorders process uncompressed videos with coaxial cables and compress the video to digital signal before sending it out. The DVR system works with analog cameras. Heard about HVR? What is HVR exactly? Simply put, a HVR (hybrid video recorder) is a combination of the DVR and NVR, which could work with both analog cameras and the IP cameras. The HVR system is usually priced much higher (over $1000) and beyond the consumer grade. Note: Generally, you will see NVR and DVR systems with 4 channels, 8 channels and 16 channels. The channel indicates how many cameras can be used within the DVR or NVR system. For example, a 16 channel DVR enables you to have up to 16 cameras connected to the system. How Does the NVR/DVR Work? The network video recorder (NVR) saves the encoded videos from IP cameras from the network. That’s to say, an NVR system needs no dedicated video processing hardware. By contrast, the digital video recorder (DVR) has a small chip inside to encode and process the analog videos into digital format first so that you can view and playback the recordings. Both NVRs and DVRs are used for video recording and storage. After connected with a monitor, the NVR and DVR cameras can be easily accessed, viewed, and configured. NVR vs DVR sum-up: The biggest difference between NVR and DVR is the cameras and cabling they use. A network video recorder (NVR) records IP cameras wirelessly (for WiFi NVR) or via Ethernet cables (for PoE NVR), while a digital video recorder (DVR) records analog cameras via coaxial cables. That’s to say, the NVR is for IP cameras recording and the DVR is for analog or coax based cameras recording. A video shows you the differences between NVR and DVR vividly. Check it out for more insights on the DVR vs NVR issue, before you read on to gather other detailed and useful information. Before we dig further into the difference between DVR and NVR, it could be good to know that both NVR and DVR security systems can work without the Internet connection! If you want the NVR or DVR systems to record to a hard drive so you can look back when needed, the NVR or DVR CCTVs don’t need to hook up with the Internet (no need to connect to your router). The DVR and NVR cameras will work on their own proprietary network once powered up. The Internet is only needed if you want to view the DVR/NVR camera systems live off site or push alerts. After learning what the NVR and DVR system is and their differences, let’s explore the advantages and disadvantages of NVR and DVR, and you will then know which one suits you better. The network video recorders has already become the mainstream at this age of Internet, with more and more camera manufacturers and homeowners swap from producing and using DVRs to NVRS. The network video recorders or NVRs are paired up with IP cameras, with a resolution starting from 2MP to 12MP (or higher), which is out of the question for analog cameras in a DVR security system. And that’s why so many users and tech experts suggest that the NVR systems should be a clear winner, considering that you need enough resolution to identify the intruders’ face and plate number. * Some security brands have produced 4K DVR security camera systems. However, with improved clarity, the DVR system will lose its price edge, since they need highly priced video processor chips to produce high quality images. The WiFi NVR visits cameras through the network wirelessly, so you don’t need to worry about how to run wires to the network video recorder. The PoE (Power over Ethernet) NVR provides both power and network to the cameras via a single Ethernet cable. You may also use an PoE switch to make the long-distance wiring even easier. Compared with NVR systems, the DVR system needs exact point-to-point connection between the cameras and the digital network recorder, and the analog cameras require both wires for power and data transmission. As mentioned before, the NVR uses IP network cameras. That’s to say, you can place the NVR virtually anywhere as long as the network is available. By contrast, the DVR CCTVs are rather limited by coax cable, with a max transmission distance of about 300 ft. So you are free to place the network video recorder to record anywhere you want, like the front door, backyard, garage, or even the remote shed. And it’s easier to hide the NVR in some hard-to-access spots like the attic, ceiling, inside walls, closet, or even crawlspace if you worry about your NVR gets stolen. NVR systems may give you an impression that it involves lots of network configurations. Thanks to the P2P NVR security cameras, you may set up the NVR system with literally ZERO configuration. You only need to download the network video recorder software, Reolink Client, for example, the IP cameras will automatically show up in the LAN network device list. Just add the cameras to the client with your password, the setup is done! No complex portforwarding and configuration. To access the camera via phone, just enter the UID (unique ID number) of the network video recorder and its password in the NVR camera app. Editor’s Note: You can see the camera live and recordings without network! Just follow this guide to connect your NVR camera system to a monitor (TV or PC), you can then see the live view and recordings right away, without connecting it to a router. Here are more notes for you to make the best purchase of NVR CCTV systems. #1. NVR surveillance systems do NOT use more bandwidth than the DVR system. Note that NVR camera systems do NOT need Internet to record and save footage. The security systems will consume bandwidth only when you access it remotely via phone or PC software, which makes no difference between the DVR and NVR systems. And some network-friendly brands like Reolink offers choices of fluent and clear video streams to save your bandwidth. #2. Buy the NVR and cameras from the same manufacturer to avoid compatibility issues. Not all IP cameras will work with the network video recorder (NVR) from a certain brand. If you want to add more cameras or find a recorder for your cameras, remember to purchase from the same manufacturer to avoid compatibility issues. #3. If you are keen to WiFi NVR camera systems, choose the one with dual-band WiFi signal. Due to the dependency on the Internet, the wireless NVR may suffer a signal loss when you use other wireless electronic devices (like phones) at the same time. So choose a high quality WiFi NVR system that features dual-band boosted WiFi signal is the best option. Admittedly, the DVR (digital video recorder) has its price advantage, it seems to be less competitive these days with some obvious inconveniences. #1. Running cable is challenging for DVR systems. The hard wiring is the biggest disadvantages of DVR security cameras. First off, each camera will have two cables to deal with, one for power and one for audio and video. And it could be more difficult if your monitoring places are out of reach of the coax cable. #2. DVR CCTV systems deliver lower quality videos. Even though the emerging technology has greatly improved the recording quality of analog cameras, it still can not catch up with the NVR cameras. Some MPX (megapixel over coax) cameras could handle higher resolution, but they will cost you considerably, even more than NVR cameras. #3. The equipment needs to be closer in DVR security systems. The DVR IP cameras could be placed no more than 300 feet away from the DVR for the decaying signal over the coax cable. #4. DVR camera systems have higher maintenance cost. As I mentioned, the DVR system transmits signal via coax cable, which is much more vulnerable to the environments like the rain or strong wind with the pass of time. If they are exposed outside, you’ll much likely to pay an extra bill in fixing the cable issues. #5. Digital video recorders have lots of potential issues to deal with. The DVR system, not to say it is outdated but it is definitely not something futuristic, gains decreasing market share every year. And that will lead to many potential problems you might have never thought of. For example, some new house owners will find that there is no coax cable prewired to support the DVR system, and you may even find it difficult to get a local DVR system repair man in the future when it becomes truly outdated. To make the choice easy enough for you, the prominent thing to consider is actually the wiring task. If you are new to security cameras, and by no means a tech guy, then an NVR security camera system will make the whole installation and configuration easier for you. Well, if you have some analog cameras or coax cable installed, a DVR camera system may be a handy solution. Actually, I’ll recommend NVR systems to anyone who wants to have a higher level of security in home or business, since you’ll have so much more to gain with just a little more cost these days. Have an idea of whether DVR or NVR video recorder will suit you best? There is only one last step to get your best pick: choose a trustworthy and reputable brand with great reviews. If you don’t want to get contracted into the monthly fees and subscriptions for video storage, which will be a huge cost in the long run, you may want to take a look at Reolink NVR and DVR security systems. Bandwidth saving, budget friendly and high quality CCTV NVR security system; Featured in the tech media like VueVille, SecurityBros. 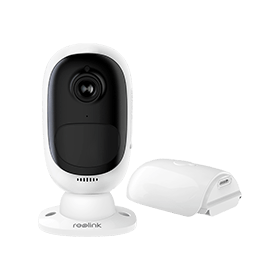 Except for all the advantages of NVR security systems, the Reolink RLK8-410B4 could record for weeks’ long at 4MP or 5MP super clear resolution with built-in 2TB HDD. It’s easy to set up and view via Reolink customized software. Have even more places to cover? 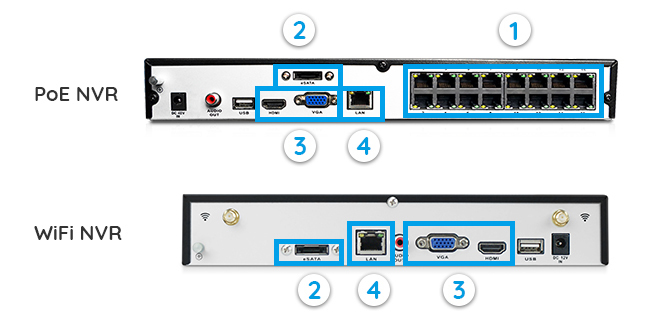 You may purchase additional Reolink PoE cameras to work with this NVR system – Yes, it can support up to 8 cameras. Or you may get a 16 channel NVR kit RLK16-410B8 with more camera channels. Here we also collected some frequently asked questions about DVR and NVR IP camera systems. #1. How can I tell if I’m able to get full 1080p on each channel given it’s an 8ch or 16ch NVR? 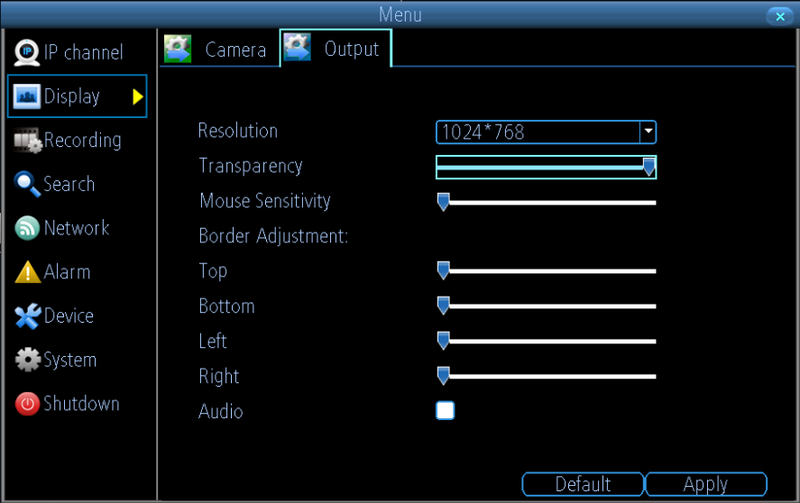 You can easily check the video resolution for each channel via the resolution page of your NVR camera system. #2. Is there battery backup for the video recorder in case the power is tripped or there is a blackout? DVR and NVR security systems don’t provide battery backup, but you can add a UPS to your digital or network recorder system to prevent these incidents. A battery powered security camera is also a good idea to act as a backup when the power is out. #3. Is there any network lag with the NVR camera systems? Still hesitant about going the IP camera route and getting a NVR due to the network lag? You don’t need worry too much about it. A properly configured network will have no such problems at all. For example, you can view the 8ch NVR IP camera system RLK8-410B4 at 4MP full resolution without any network lag with a stable 6-8Mbps upstream of bandwidth. #4. How far can I go with the NVR and DVR camera systems? There is a major difference between the NVR and DVR camera systems concerning their transmission distance. For an NVR IP camera system, you are actually not limited by the wires. Well, for DVR camera system, it can typically receive signals within the range of 1000ft. What if someone breaks in and steals your DVR/NVR? What’s the safest place around the house to place or hide the little box? Read these expert tips to prevent your NVR/DVR from being stolen. Yes, it’s easy to run wires of NVR systems, yet how to do it in specific steps? And what’s the best NVR/DVR wires solution? Get detailed ideas to run NVR/DVR wires here (explained in steps). Have searched around and still can’t find a quality as well as affordable one? Or want to save more money for your perfect DVR/NVR security solution? Grasp the chance to save big on the upcoming Reolink Christmas sales – the NVR systems always get the most dollars off, you know? (Subscribe to us to be the first one to know when any NVR deal is available.) And you can always try these bonus tips to save money when buying a NVR/DVR system. Want to have a quick decision to get a cost-effective NVR/DVR system for home with under $500 or $1000? Here is a top NVR system list with affordable price. You’ll definitely find your best match here in 1 minute without regret! This entry was posted in Compare & Contrast and tagged dvr security system, dvr vs nvr, nvr security system. One thing I don’t recall seeing in your article is the bandwidth impact of NVR. An installation with 8 or 16 NVR cameras would seem to bring a non-fiber LAN to its knees. Am I wrong? What if the NVR had its own subnet? Or on its own wired network. Hello Rey Davila. Yes, the NVR has its own subnet. The NVR and IP cameras will create a private LAN. Hello, C.h. Cobb. Yes, the NVR system will consume network bandwidth. NVR is the network recorder for IP cameras. And the bandwidth it consumes is determined by the number of IP cameras and the code stream. Reolink cameras offer you options for the different code streams. That’s to say you can change between clear and fluent modes to save the bandwidth. WE WILL BEAT ANY PRICE! ERTECH CCTV is specialized in creating value for money and easy to use CCTV Kits, Plug and Play Kits for novice and expert Customers. 4K UHD Kits and ULTRA LOW LIGHT Kits. Smart IP Cameras with Artificial Intelligence Solutions. You missed some pro’s and con’s and imho, got one wrong. Camera’s supported, you said NVR-Flexible, DVR-Fixed. It’s the other way around. DVR uses standard NTSC (or PAL) camera signals, any analog camera will work. NVR’s on the other hand may not talk to all IP camera’s, check the list of supported cameras by that NVR. DVR’s require home run cables, right, and that also makes them harder to “hide”, while NVR’s just require a single network cable (or even a wireless bridge). One thing that was not discussed was the use of encoders, these would covert Analog cameras to work as IP cameras (You don’t magically get more pixels, just network connectibility). ie, if you already have analog cameras, you don’t have to buy a DVR if you really prefer to modernize with an NVR. Just buy the NVR, add an encoder for the exiting cameras, then go with IP cameras moving forward. Otherwise, the rest of this article is a great read and good advice! Well done! Hi Josh, thanks for your input and share! I’m with you on the point that DVR’s flexible in supporting different types of cameras. Well, the DVR need exactly point-to-point connection, which makes it kind of fixed and limited in placement. Thanks again for sharing all these good points. Please let me know if you have any further insights or questions. NVR vs DVR, What’s the Difference. NVR vs DVR sum-up: The biggest difference between NVR and DVR is the cameras and cabling they use. 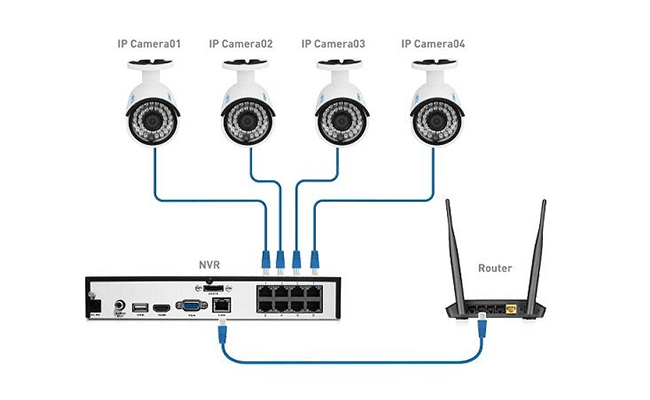 A network video recorder (NVR) records IP cameras wirelessly (WiFi NVR) or via Ethernet cables (PoE NVR), while a digital video recorder (DVR) records analog cameras via coaxial cables. how do you power the wireless nvr cameras? Not having Poe ports on an nvr doesn’t necessarily make it a wifi nvr just fyi there’s nvrs with a single ethernet port to connect to cameras on the local or a network powered over poe or have their own local power.. When my nvr system sends me an email the picture file is no longer available, what setting is incorrect? Hi there, may I know which NVR system model you are using and the version of your system? You may find all these required information on the Device Info page via Reolink app and send us a screenshot of it. If you are not using a Reolink NVR system, it’s better to contact the camera producer for a detailed troubleshoot.